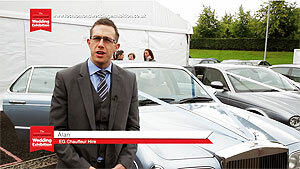 EG Chauffeur Hire are sure to make your special day go without a hitch. Arrive at your wedding in style, luxury and confidence – our wedding cars are decked out in a tasteful array of ribbons and our drivers are dressed for the part. We operate in West and Central Scotland, especially; Glasgow, Edinburgh, Paisley and Lanarkshire. All packages are based on a half-day hire of 4 hours. Full day bookings will incur 45% surcharge on the half day package. 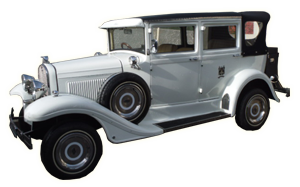 Click the link adjacent to see a summary of the wedding car services EG Chauffeur Hire can provide for your big day. If you have any special requirements – please go ahead and make an enquiry. We’d be happy to help. We've been nominated for a VOWS award! The Scottish VOWS Awards recognises companies within the Scottish wedding industry which deliver customer service of the highest standard. Visit the VOWS Awards website. 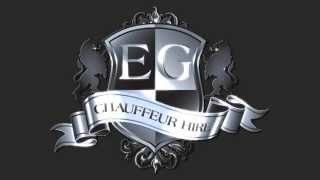 EG Chauffeur Hire are proud to announce a new partnership with Angel Fine Wines. We are delighted to have them as our exclusive supplier of fine wines and champagnes. Like this bottle of Charles Henry; this Champagne has crisp apple and citrus fruit flavours with a hint of creamy, biscuity flavours and lots of fine, delicate bubbles. Great seats at the game and a trip in a stunning Jaguar limousine, with a glass of champagne to top it off! A nice wee treat for my boyfriend's birthday and a good idea for a day/night out! “ We were recently gifted a surprise treat which began with a luxurious limousine arriving promptly to collect and convey us effortlessly to Edinburgh through heavy traffic, appalling road conditions and diversions driven by a very polite, confident, attentive, but unobtrusive chauffeur named Alan, while we passed the journey availing ourselves with the refreshments provided in the back seat in extreme comfort. All four ladies were delighted when the lovely and immaculate Jaguar arrived to help celebrate Michelle's 40th birthday. Alan was very patient with us, as you can imagine we had to get plenty pictures before we had a wee scenic drive to our destination. 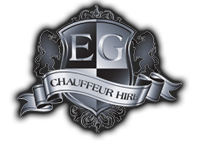 “ We used EG Chauffeur Hire for a recent special family occasion, and couldn't thank them enough. We had very particular requirements and nothing was a bother for them. “ I just wanted to thank you for the excellent service which you have provided me with on 2 separate occasions. Both occasions were 'girlie' nights out and we were all collected on time and provided with a drink which is a lovely way to relax and start the night.